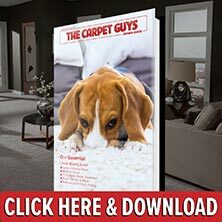 If you are looking for the best new carpet deals in Huntington Woods, you have come to the right place. Here at The Carpet Guys, you will find the best prices on the highest quality flooring products on the market. We are the best place for flooring purchases, so begin your carpeting journey with us. With all of the experience we have in the flooring industry, you will not find a better local flooring dealer anywhere else. Get your new carpeting installed from The Carpet Guys. Once the installation crew arrives at your home, they will begin my moving the furniture out of the rooms free of charge. After the room has been cleared of the furniture, the old carpeting is ripped up, bundled neatly, and placed outside by the curb. New padding will then be rolled out, and the new carpeting you chose will be placed on top and installed. After the new flooring has been installed, the furniture can be placed back in their original positions. If you are ready to get carpeting installed in your home, take a few moments to schedule a free in-home estimate with us today. Fill out the form on our website or call in and speak with a representative to schedule. We look forward to hearing from you soon.